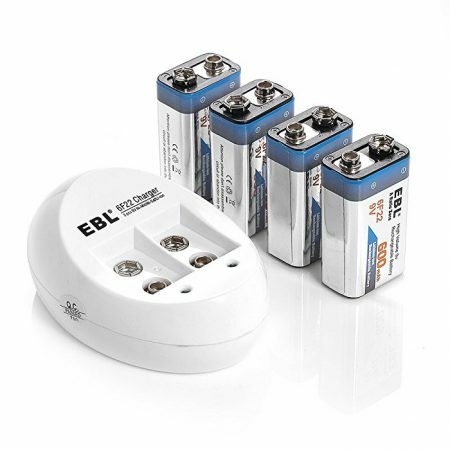 EBL-503 iQuick 9V Li-ion Rechargeable Batteries Charger for 1 to 5 9V Li-ion Rechargeable Batteries. 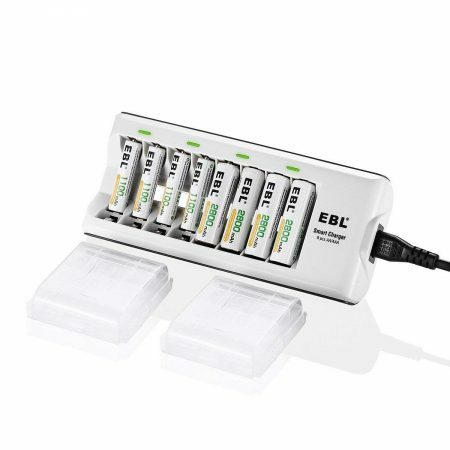 The charger has 5 slots for 9V rechargeable batteries. 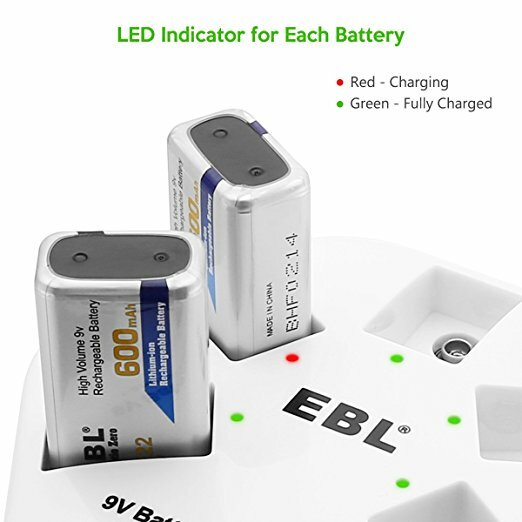 Smart LED indicators let you know the charging status for each 9V battery. 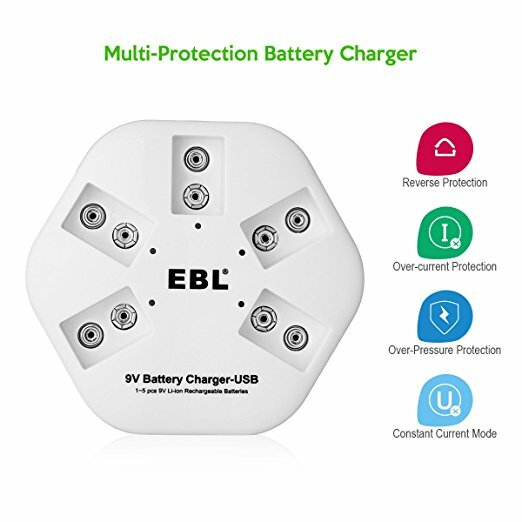 The charger has short circuit and input voltage detection and protection. The charger can freely charge 1 to 5 9V batteries. The charger has a quick 2A USB input design for efficient and convenient charging. 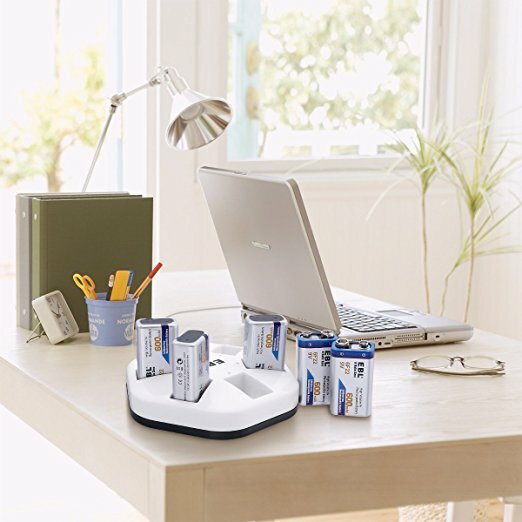 The charger is compatible with 9V rechargeable batteries. 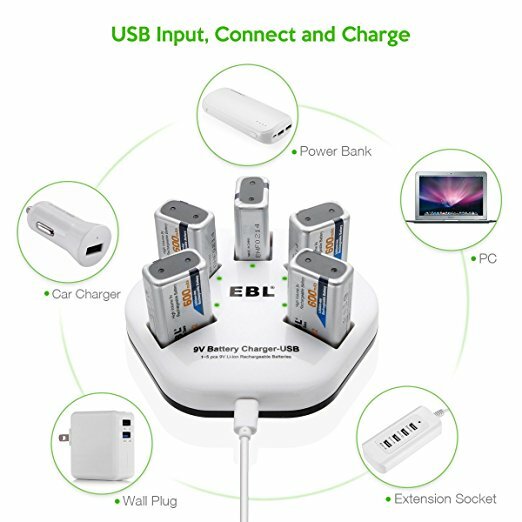 Certified by CE and ROHS, EBL 503 iQuick 9V battery charger is capable of charging 1 to 5 pcs of 9V rechargeable batteries. 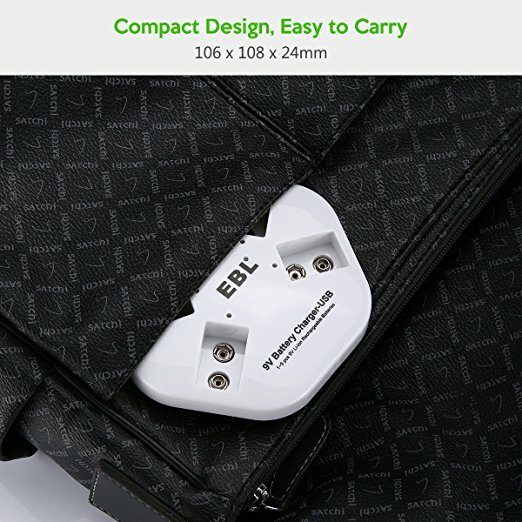 EBL battery charger can charge up your rechargeable batteries which are out of power. 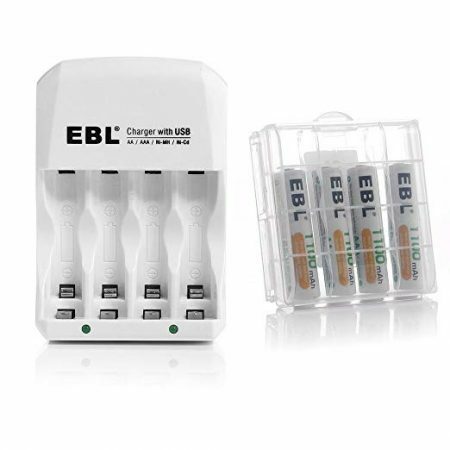 This brand new charger is one of the most popular environmentally-friendly products. 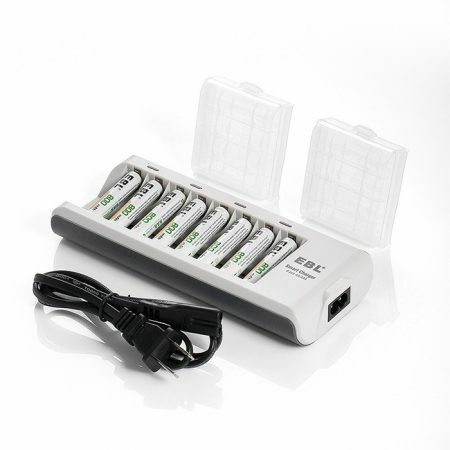 This 5-slot 9V battery charger can charge 1 to 5 pcs 9V lithium-ion batteries. 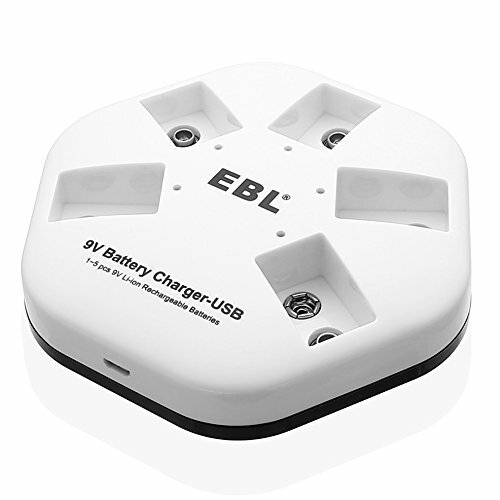 EBL chargers are strongly built and can offer safe, quick charging for your rechargeable batteries. 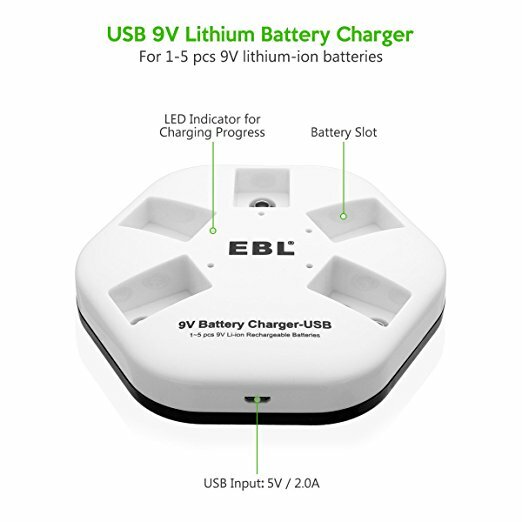 This EBL-503 iQuick 9V Li-ion rechargeable battery charger has a unique USB input design for quick recharging. 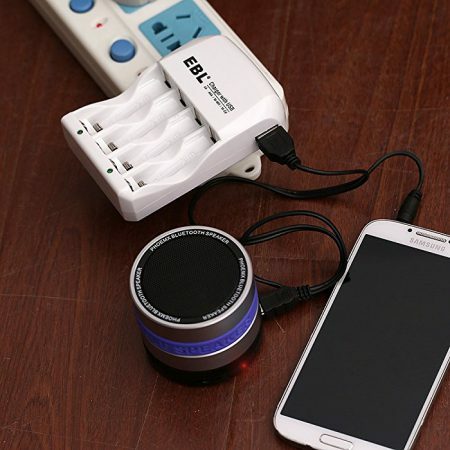 Due to advanced MCU system, the charger will automatically stop charging when batteries are fully charged, using the △V and -△V cut-off charging method.